Should you avoid long layover flights? 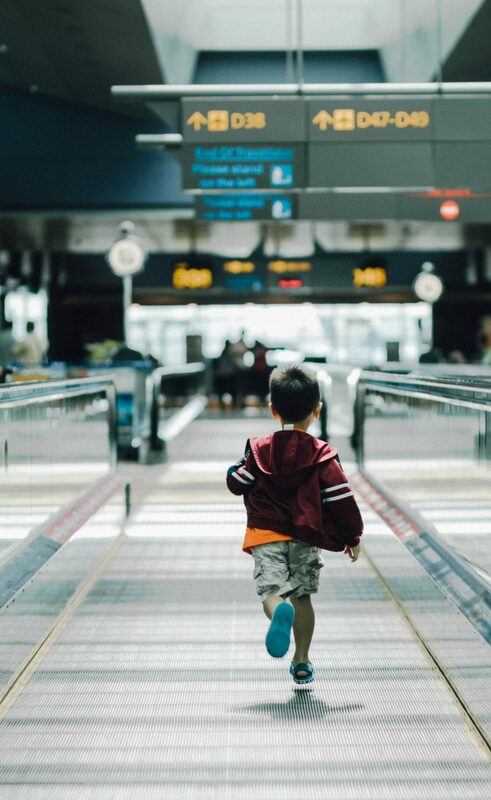 Having a layover to stretch your legs and let the kid run around for a bit can help everybody destress. You’ll also get to use airport nursing rooms to nurse comfortably, change diapers, clean up and change outfits. Potty-trained toddlers can also use the time during a stopover to use a regular restroom. Lots of airports have wonderful facilities for kids. In our travels, we’ve encountered nursing rooms stocked with diapers and wipes, indoor playgrounds, quiet napping areas with dim lighting, free WIFI, family-friendly dining areas, butterfly gardens and more. Some airports even feature short day trips to the city center on free shuttle buses! Find out more about airport amenities at http://www.sleepinginairports.net/. See my tips for timing your flight.